Went for a walk along the Charles yesterday, what a great day, and it’s was nice and quite down there and a great to relax, chill and get away from the hustle and bustle of the city. 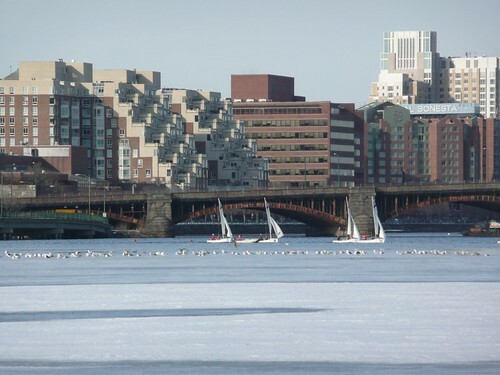 And the MIT’er were out sailing too and it almost looks they were sailing on the ice. And those are seagulls perched on the ice.